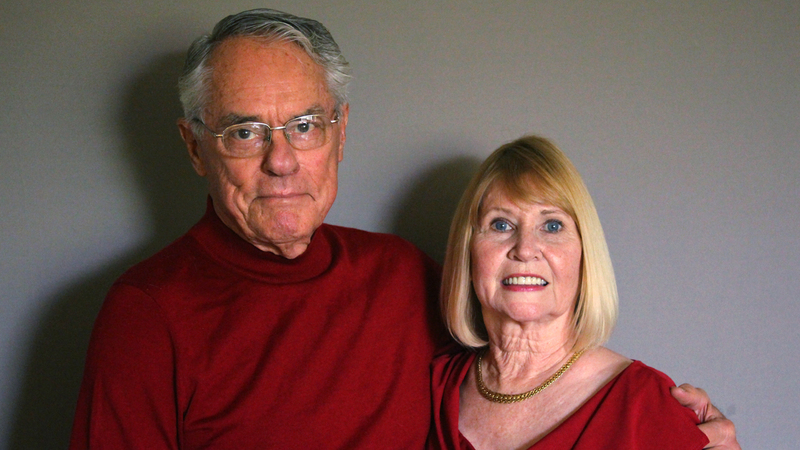 Donnie Dunagan with his wife, Dana, on a recent visit to StoryCorps in San Angelo, Texas. Donnie Dunagan is a hard-nosed Marine, a highly decorated veteran of the Vietnam War who served for a quarter-century before retiring as a major. First drafted in the '50s and subsequently promoted 13 times in 21 years — a Corps record at the time, he recalls — Dunagan found the Marines a perfect fit. That is, so long as he could keep a secret. "No chance!" 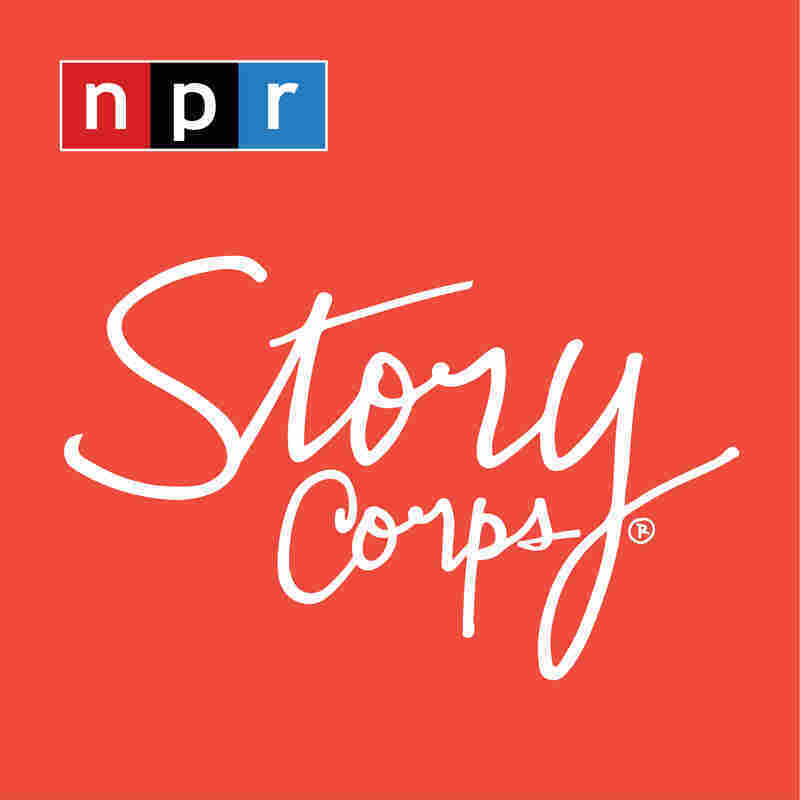 Dunagan, now 80, tells his wife, Dana, on a recent visit with StoryCorps in San Angelo, Texas. "I never said a word to anybody about Bambi, even to you. When we first met I never said a word about it. 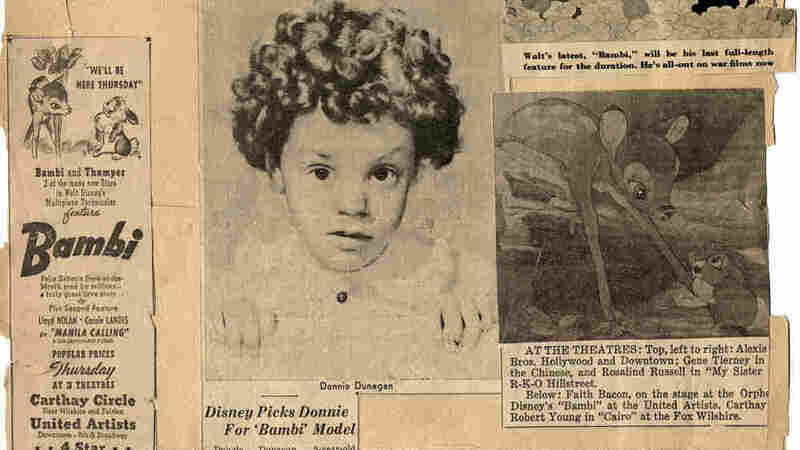 Most of the image in people's minds of Bambi was a little frail deer, not doing very well, sliding around on the ice on his belly." 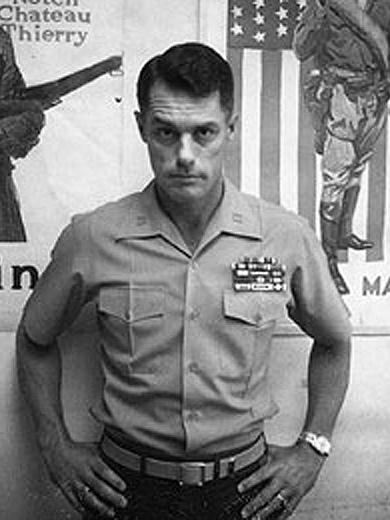 This is Donnie Dunagan in 1974, during his time in the Marine Corps. Even if anyone had known, it's tough to imagine anyone calling him "Maj. Bambi" to his face then anyway. Now, imagine the man who was once Bambi as a commander in a Marine Corps boot camp, responsible for hundreds of recruits. Dunagan didn't want his recruits drawing any connections, mocking him or calling him "Maj. Bambi." So, he kept his mouth shut. "I go in his office and he says, 'Dunagan! I want you to audit the auditors,' " Dunagan recalls. Swamped with other duties, Dunagan respectfully asked him: "General, when do you think I'm going to have time to do that?" And, finally, the nightmare he'd harbored for years came true. "He looked at me, pulled his glasses down like some kind of college professor. There's a big, red, top-secret folder that he got out of some safe somewhere that had my name on it. He pats this folder, looks me in the eye and says, 'You will audit the auditors. Won't you, Maj. Bambi?' "
When Dana asks him how his life is different from the way he might have imagined, Dunagan points out that all the wounds he suffered in service, all the honors he's earned along the way, still haven't changed a thing. "I have some holes in my body that God didn't put there. I got shot through my left knee. Got an award or two for saving lives over time," he says. "But I think I could have been appointed as the aide-de camp in the White House, it wouldn't make any difference — it's Bambi that's so dear to people." "But I love it now — when people realize, 'This old jerk, he's still alive and was Bambi.' And I wouldn't take anything for it, not a darn thing for it." Newspaper clippings of young Donnie Dunagan from the early '40s.